We recently received a sample of our latest upcoming brass model in 1:87 scale, the Bucyrus-Erie 1850-B ‘Brutus’, and after a trip to the photo booth, we couldn’t wait to share the results. 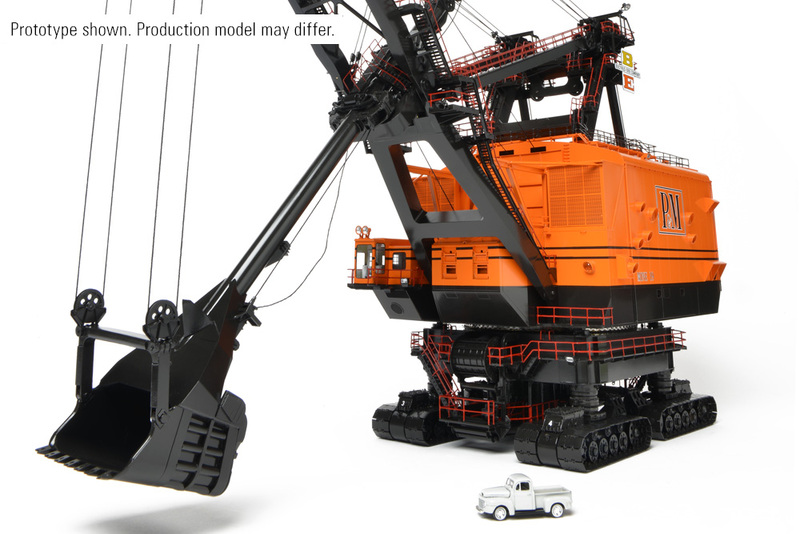 Over 1,000 individual parts comprise the construction of this limited-edition model, which in turn requires over 40,000 soldered joints in order to complete the assembly. Each lower section of boom (pictured below) requires 1,034 solder joints! Incredible detailing from the undercarriage to the top of the boom brings this historic monument to life as the centerpiece of any collection. The accurately replicated dipper features a functional dipper door and, with working crowd, matches the motions of the machine during it’s working life as well as providing multiple display positions. 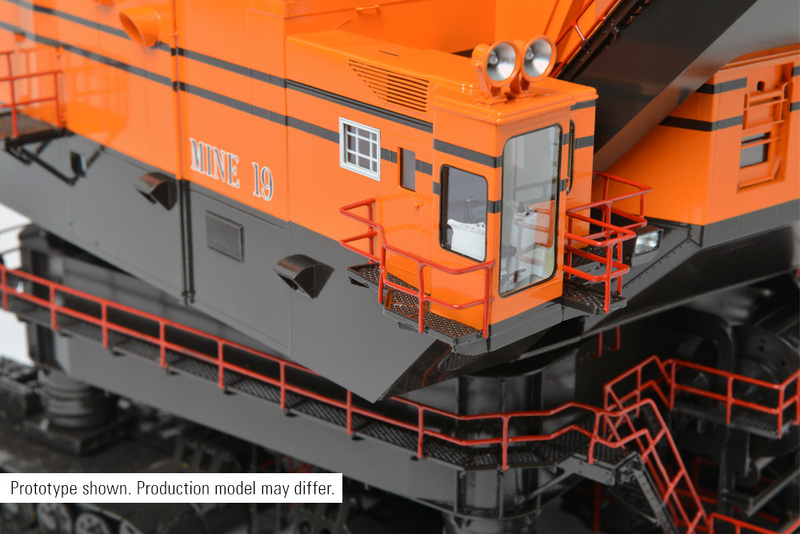 Era appropriate Bucyrus-Erie and Pittsburg & Midway paint and markings set this model apart in a class of its own. In a true test of quality, hours can be spent admiring the precision work in this one-time-only recreation of the only Bucyrus-Erie 1850-B ever to be made. With production limited to 60 models, we have already received more requests than models will be produced. That’s not to say that you shouldn’t still put your name down on the request list if you are interested, as there can be some attrition. The retail price for Brutus has been set at $7495, and although we are too early in the process to determine when they will be available with any accuracy, we will keep you up to date with news and photos here as we have it. What a beautiful machine. I have personally stood in the bucket of this incredible monster. Looking up from where I was standing, It looked too big to believe. It’s nice to see it celebrated like this.